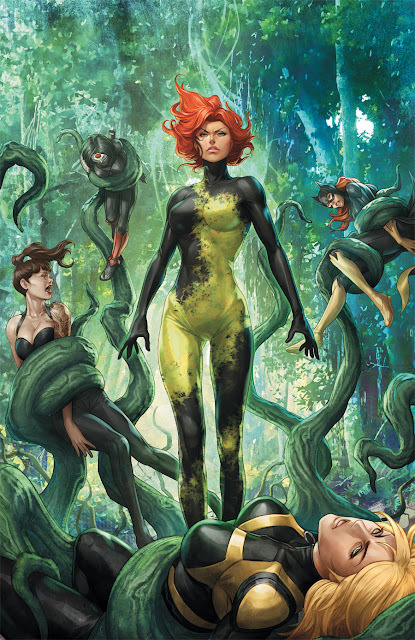 I loves me some Poison Ivy - but as a villain (mind you I used to say the same about Emma Frost)! Here Stanley shows while she may she may always be mentally seedy, Ivy will always be a flytrap ready to spring open! DC says: Poison Ivy – savior of The Green? The team is in the jungles of the Amazon and the boardrooms of Dubai, where the Birds must make a deal with the Devil! A shocking ending you can’t afford to miss! 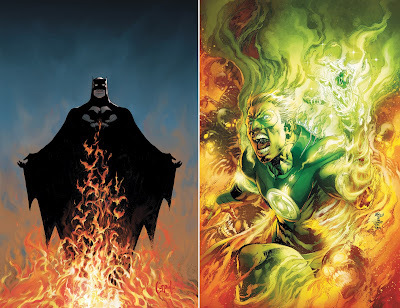 Batman #11 - Greg Capullo As the storyline Court of Owls crashes to a conclusion, Batman has never risen from the flames in more style. Earth 2 #3 - Ivan Reis While the issue also debuts the Earth 2 Hawkgirl (which woulda made a nice cover) this burning number teases the all-new origin of Alan Scott! What do you think? Sound off below. 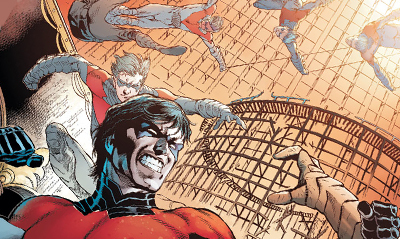 For more from other publishers in July 2012 as they become available click here, or to find out the rest of DC's July line-up, follow the jump! They all looks good, especially Earth 2! And yes Poison Ivy is lookin' fineeee! Glad you liked 'em Dale! Always knew you had good taste! Hey OA! Glad to have ya drop in! Yeah it's a bit of a grunge look, but it sure makes our Pamela look lethal! ...so is Ivy a villain or a hero now? I'm not sure Craig, but my vote will always be for 'foe'!